Perspective style college campus maps are ideal for orienting new students and visitors to an unfamiliar environment. These detailed views also make excellent publicity pieces when added to a school’s website, brochure or annual report. 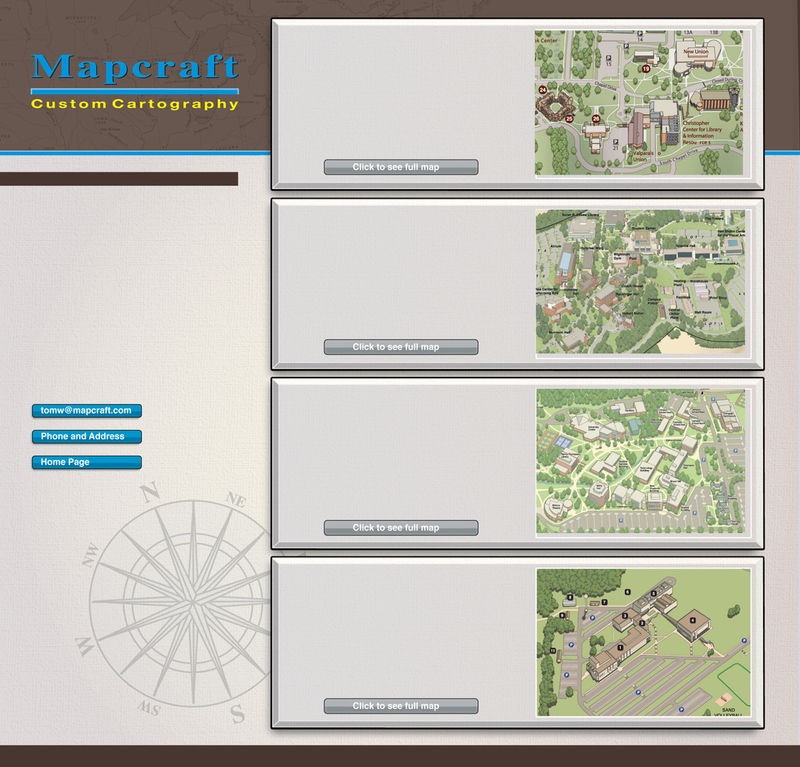 Mapcraft has designed affordable maps for colleges and universities across the nation. Check out some of the samples to the right. This richly illustrated map was created for a prestigious Midwestern university. All of the campus buildings in this map were rendered in careful detail, with non-campus structures shown as basic outlines. This view was rendered in great detail based on photographs taken during a visit to the campus. Current technology now allows much visual information to be found right on the web, reducing time and expense previously required for on-site visits. The map of a small college in New Jersey was made at an economical cost, yet shows great attention to detail. Distinctive elements such as color shadings, text boxes and other features can be modified based on the client’s input at each stage of the design process. This view was prepared at an affordable cost for a small-sized community college in Missouri. The map has been modified several times as new buildings have been added and parking areas changed.